This piece by Bel Greenwood, co-organiser of Words And Women, first appeared on the Writers Centre Norwich website. 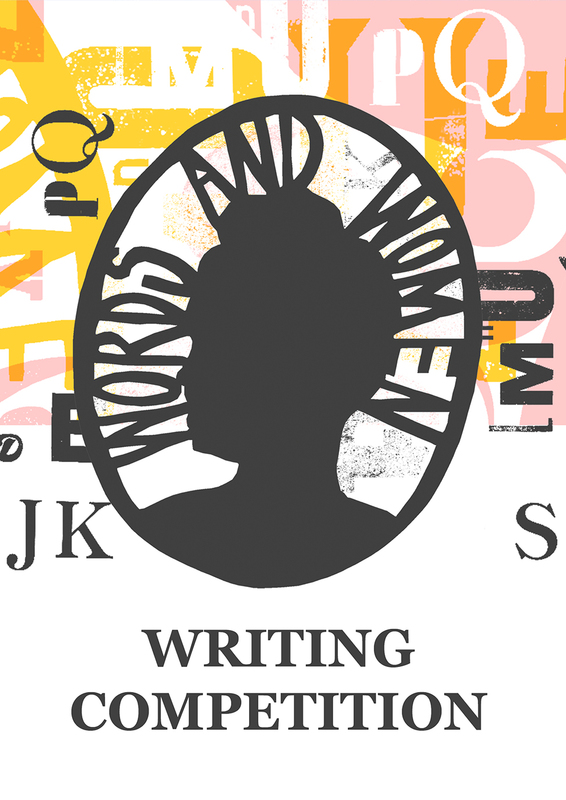 It was written in response to a recent BBC Radio 4 programme that saw novelist Kit de Waal reflect on her own life and writing career, and the barriers faced by working-class writers today. 'I can remember really looking forward to reading Maggie Ferguson’s biography of Michael Morpurgo. I wasn’t even going to wait for the paperback version to come out. I had read his stories to my own child and watched him passionately defend the human rights of Palestinian children. I admired him, but I felt a familiar disappointment when yet, again, Michael Morpurgo was revealed to be a former head boy of a Canterbury public school who lead the late Queen Mother around the grounds, ex-Sandhurst, and related by marriage to Allen Lane, head of Penguin Books. I can remember thinking, how typical. Of course, Michael Morpurgo has talent, lots of people have that, but not everyone has such a route map. Frankly, if you are a working class writer you really don’t have much of a map at all. I am very conscious of the need to avoid being ‘chippy.’ As if holding any resentment about inequality is a character flaw and my perception of the publishing industry as elitist, and poorly representative of where I come from isn’t valid. But it is now being acknowledged by the publishing industry itself that working class writers and stories are missing and some in the industry want to remove the barriers to writers from my kind of background. Hence BBC Radio 4’s documentary, ‘Where are all the Working Class Writers?’ A passionate, personal take by Kit de Waal, who published her first book at the age of 55. Is it so different for someone like me and someone like Michael Morpurgo? Plenty of middle class people refuse to accept that there is any difference. But of course, there is. It isn’t only financial hardship, lack of time or a writing shed that gets in the way. It’s confidence, self-belief, having a face that fits, a happy sense of entitlement, adopting a way of speaking that is taken more seriously. Learning the alien skill of a networking session, finding a sense of belonging without any idea of the codes that tie people together. I was born into a large family at the back of the old Arsenal Football Stadium in London. When I was five my father ran away. I don’t think he managed a single maintenance payment and my mother was left pregnant with her fifth child, on benefits in the late 1960s. It was tough, and we were very poor. I can remember us all sitting round making pyjama trouser strings in the front room and was often kept off school to help with the washing. My mother remarried a milkman with itchy feet and we moved 14 times in 12 years. I went to 8 schools, in secondhand shoes and on free school meals, we were easy fodder for bullies. Years later, a wealthy friend, son of lawyers, asked me why life was always a battle. No one where I grew up would think to ask that question. Having been at comprehensives and a secondary modern, I ended up at a grammar school where the headmistress asked me if my father drank, after all he is working class, he is also teetotal except at Christmas. I was one of two working class pupils in the sixth form and became a Communist and played truant in response. In those years, I can remember visiting the home of an artist whose work resembled Modigliani. I pointed this out, and she responded, ‘Oh, you know who Modigliani is?’ She couldn’t believe that someone like me would know about an Italian-Jewish 19th century artist who lived in France. I couldn’t help thinking, why shouldn’t I know as much as anyone else. Thank Goodness for public libraries, my gateway into a bigger world where art could belong to anyone. Kerry Hood and Margaret Meyer, the winners of our prose competition! Congratulations to Kerry Hood who has won our national prize for women writers over 40 in our prose competition this year and Margaret Meyer who has won our regional prize for women writers living and working in the East of England. Kerry won for her fantastic story The Sunbathers, and Margaret won for The Once And Only First Lady Judge, a story written in honour of her grandmother. Kerry’s story TXL was runner-up in the Bridport Prize for which she’s been shortlisted five times. She won the Cinnamon Press Award, Ink Tears Flash Fiction, and Frome Short Story Prize as well as being published by the Bristol Prize, The New Writer and Bath Flash Fiction. Two stories have been broadcast on BBC Radio 4. She has had ten plays produced including Meeting Myself Coming Back at Soho Theatre (British Theatre Guide Highlight of the Year, Sunday Times Critics’ Choice, shortlisted for Meyer-Whitworth Award), received several Arts Council awards and has had residencies at the National Theatre, the Traverse and RADA. 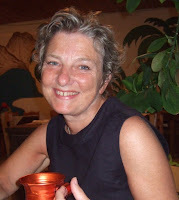 Margaret is a prose writer and therapist. She has previously been a fiction editor, publisher, British Council Director of Literature and a reader-in-residence in Norfolk prisons. As a therapeutic arts practitioner she provides writing and reading-for-wellbeing programmes for ex-offenders, recovering addicts, and people recovering from mental health conditions. In 2016 she won a place on the Escalator writer development scheme run by Writers’ Centre Norwich. In 2017 she was awarded an Arts Council England grant towards her first novel, The Varieties of Flight. She writes about women, water, metaphor, criminality and not knowing. Words And Women would like to say thank you to everybody who entered the competition. The quality of work, as always, was outstanding. 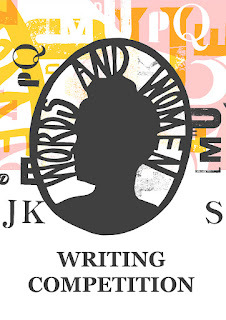 Prose Competition: our Top 40! Happy New Year to all our supporters. We open this year with news of our prose competition. On Monday 8th January we will announce the winner of our national prize of £1,000 and a month long writing retreat, generously sponsored by Hosking Houses Trust, and the winner of our East of England prize of £600 and a mentoring session with Jill Dawson of Gold Dust. The winners will have been selected by our guest judges Emily Midorikawa and Emma Claire Sweeney, authors of A Secret Sisterhood: The hidden friendships of Austen, Brontë, Eliot and Woolf. Meanwhile we thought we’d continue our tradition of announcing our Top 40 here first. Congratulations to all of you who made it to this stage! And very many thanks to all of you who entered. We had over 350 entries from all over the UK and Ireland, from Dublin, Edinburgh, Glasgow, Leicester, Bristol, Canterbury, Norwich, Cambridge and many other cities, towns and villages. There was a good strong mix of fiction and non, many interesting essays and strong memoir pieces. Themes explored were as varied, ranging from work in praise of the natural world (from Barn Owls to soil! ), from writers and writing to film-makers and performers, from trafficked women to abandoned children, from drownings and rescues to grief. There were gently humourous pieces about relationships and more acerbic, surreal pieces too. The work which made its way into our Top 40 successfully explores the unusual or the familiar in an unfamiliar way. We were drawn to interesting content, developed argument and narrative. We liked language that conjured an atmosphere. We liked neat structures and experimental structures. Mostly we chose work which displays confidence and energy, commitment and a real understanding of form.